We just redeveloped a new website to bring ourselves into the technical age with mobile devices. While our old website was OK, it was severely outdated and needed to be compatible with mobile devices, so we made the change. Our new site is much easier to use and looks incredible with all mobile devices. Hurray! With that said, who is 2020 Storage? 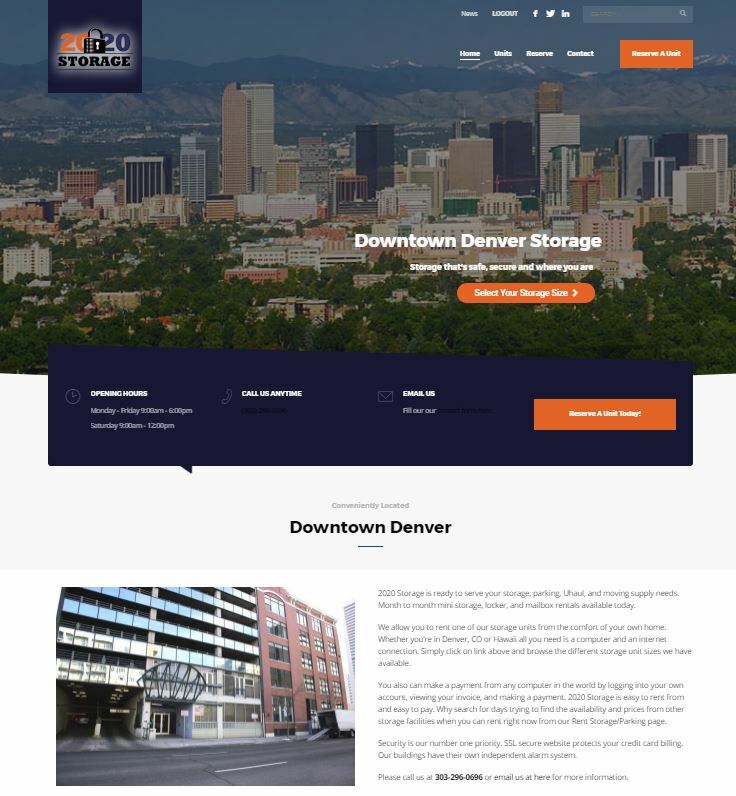 2020 Storage is a locally owned Downtown Denver Storage company who’s primary goal is to provide safe and secure storage for individuals, businesses and also for parking in Denver. All of our storage pricing is very competitive. Have a look for yourself here. 2020 Storage is Denver's leading downtown storage company who's here to help you for your personal, business and vehicle needs. Centrally located off of 20th street, just blocks away from Coor's field. We offer a variety of units and sizes for all of your storage needs.